Whereas "Signed, Sealed, Delivered" from the previous year had signposted Stevie Wonder's desire to break out from the shackles of the Motown hit factory conveyor belt and release "proper albums" of adult music covering adult themes, this was the album that really saw the true change. 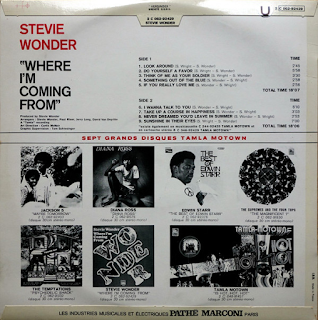 The album kicks off with the semi-funky introductory, socially-conscious track of "Look Around", featuring Stevie's now trademark clavinet. This is developed even more on the funkiest track he had released thus far, the barnstormingly down 'n' dirty "Do Yourself A Favor", which has huge hints of the multi-instrumentalist numbers he would lay down on the decade's subsequent offerings. It is the direct forefather of material like "You Haven't Done Nothin'" and even "I Ain't Gonna Stand For It". Check out that swirling organ sound and pounding drum sound. At over six minutes, this was not the sort of song he was releasing only two years earlier. The standard twelve-track album had now turned into a nine-track one. "Think Of Me As Your Soldier" is a typical, slow tempo Wonder ballad of the sort he would do so much in the next ten to fifteen years. "Something Out Of The Blue" is a reflective, almost sombre, romantic song. Totally uncommercial. Sumptuously orchestrated. Very "adult". "If You Really Love Me" was the hit single from the album - a jaunty, brass-driven number that is interspersed with some slow tempo typical Wonder ballad-like passages. It is catchy and enjoyable. 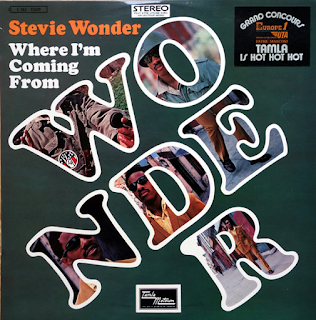 "I Wanna Talk To You" is a bluesy piece with Wonder trying to sound like an old blues man. It is quirkily appealing, but certainly an acquired taste that wouldn't appeal to the "For Once in My Life" market. It rambles on far too long, though, it has to be said. "Take Up A Course In Happiness" is a bit of an oddity, A strange, jolly, sixties-style show number that pretty much defies description. It lies pretty incongruously with the rest of the album's material. 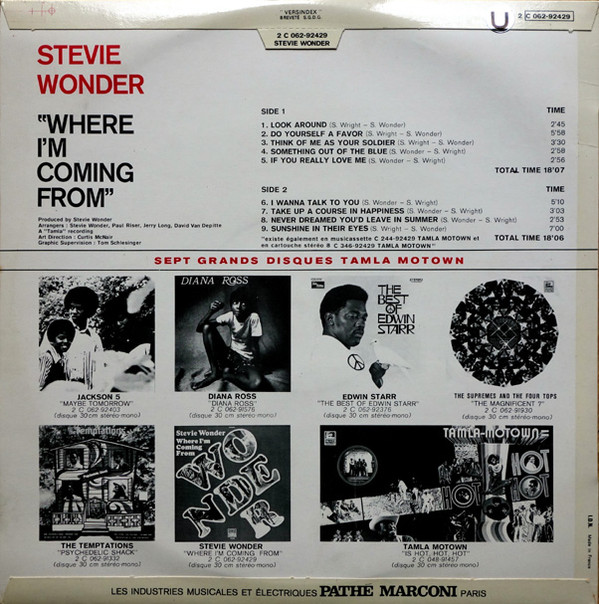 Fair play to Stevie, however, as he tried to produce albums of varied material. Berry Gordy must have been incandescent. Don't mess with the formula? Stevie and Marvin Gaye were ripping it up and throwing it in the bin. The album gets back on track with the dignified beauty of "Never Dreamed You'd Leave In Summer" and concludes with another sumptuous ballad in the lengthy "Sunshine In Their Eyes". It also featured a children's choir chorus and some upbeat, jazzy interjections. Quite adventurous stuff. I have to say that apart from "If You Really Love Me", this was an utterly uncommercial album that must have mystified buyers at the time. It definitely set the trend for Wonder's subsequent seventies material. It does sound a bit unfulfilled, though, and not quite the finished article, one not quite sure of its direction. Very much a "work in progress" album from an artist finding his new direction.